Wednesday 14 December between 11am and 1pm or between 4pm and 8pm. 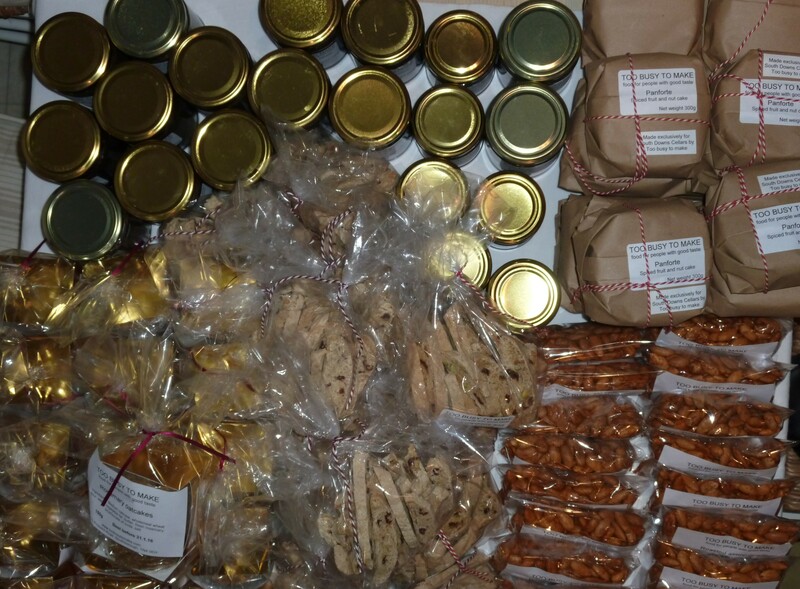 I will have a number of chutneys, jellies, jams and marmalades open for tasting as well as some biscuits and cakes. Most will be available to take away but I can make more Panforte or biscuits to order. Some of my chutneys and jellies are also available to buy at Southborough Butchers on London Road, Southborough. Some cranberry sauces can be rather sweet. I like to make this compôte as it has a spicy tang and is not full of sugar. 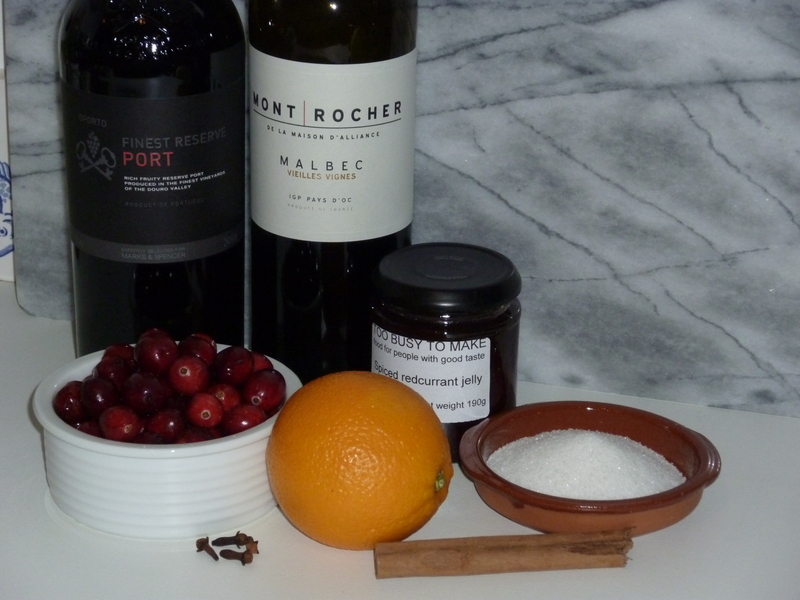 The cranberries are cooked with orange juice and zest, some red wine, cinnamon and cloves along with a little sugar and then port is stirred through to give it a rich flavour. It tastes delicious with Christmas dinner as well as gammon and is equally good with cold meats, especially ham, for a Boxing Day spread. 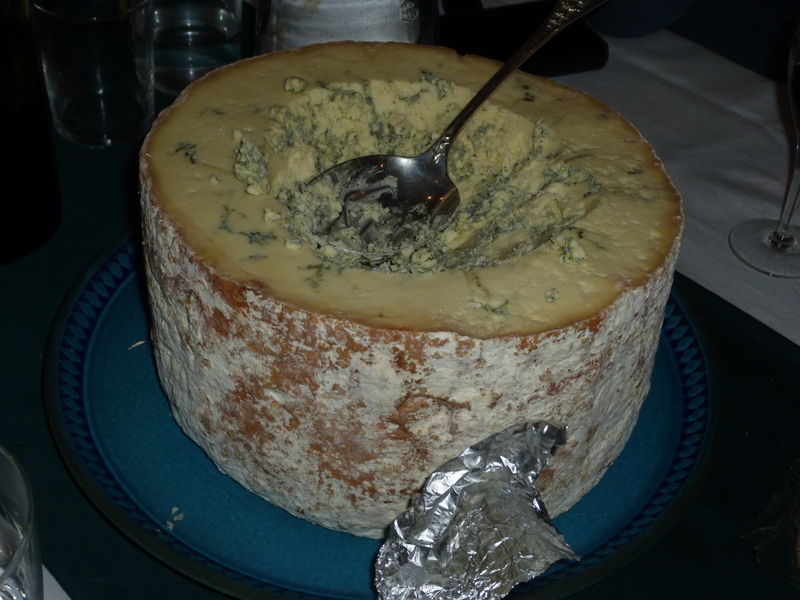 After opening, it should be kept in the fridge, but left unopened, it will last several months. The jars may contain whole cloves. If you would like to order a jar, they cost £3.50 for 190ml. 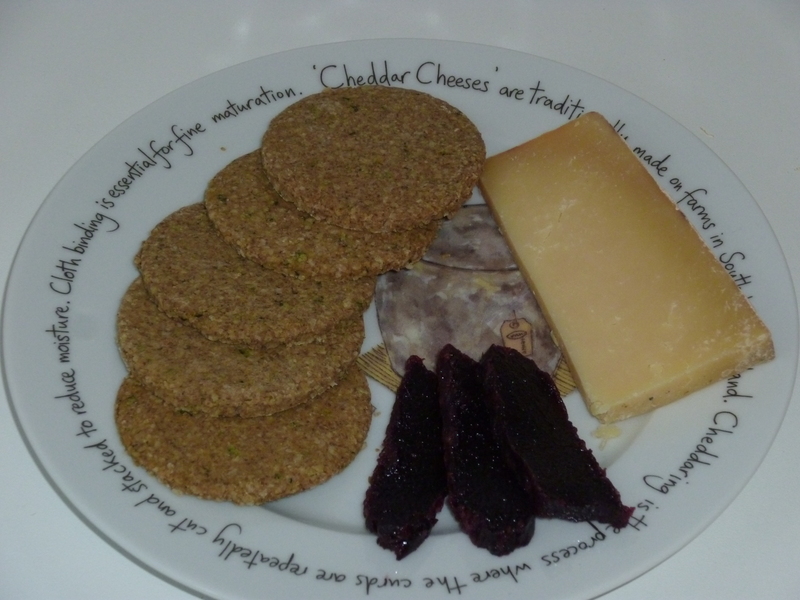 It is also available in a 3 jar selection pack – try combining it with a spiced redcurrant jelly and an apple and sage jelly to give you accompaniments for various meats for £10.00. 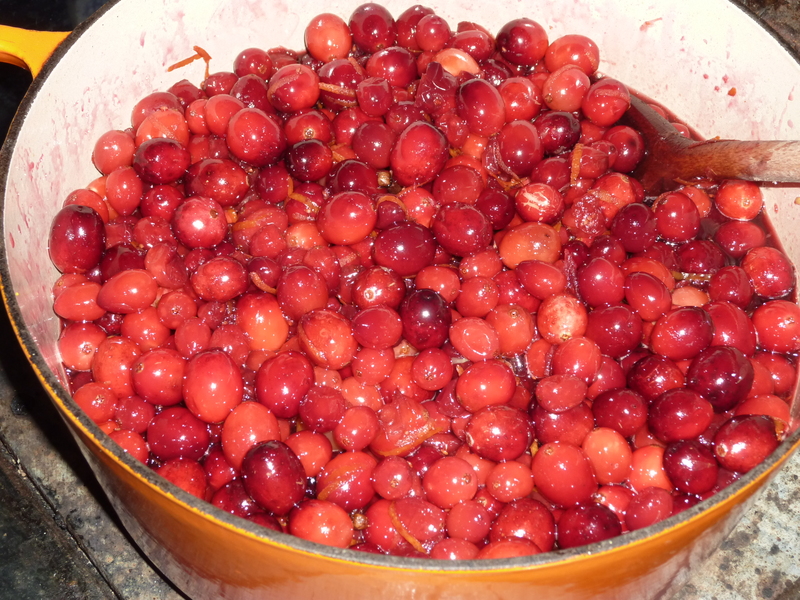 Before I make my Christmas cake, I like to soak the fruit in brandy for a few days. 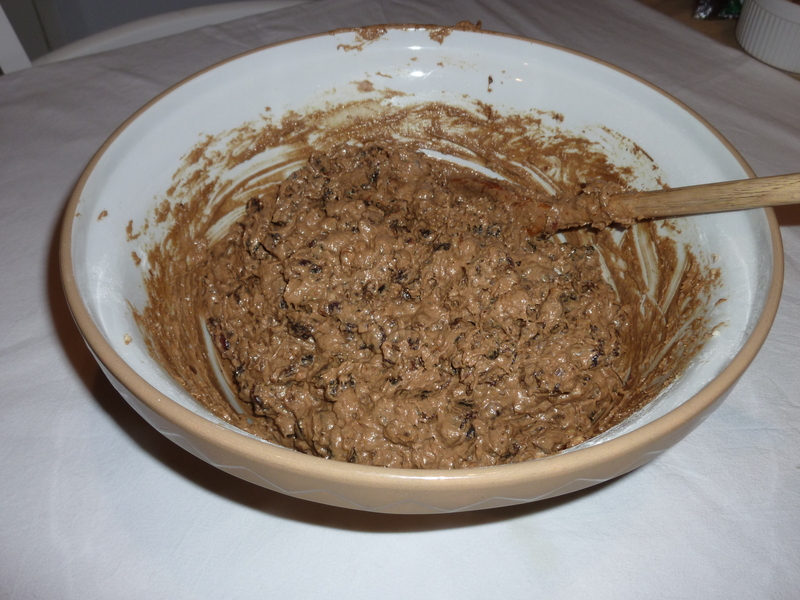 This helps to plump up the raisins, currants, sultanas, prunes, dates, apricots, figs, cherries, candied peel, cranberries and stem ginger. I normally make a 9″ or 23cm cake for our family which will last us until next Easter – over 2lb of fruit goes into this cake. 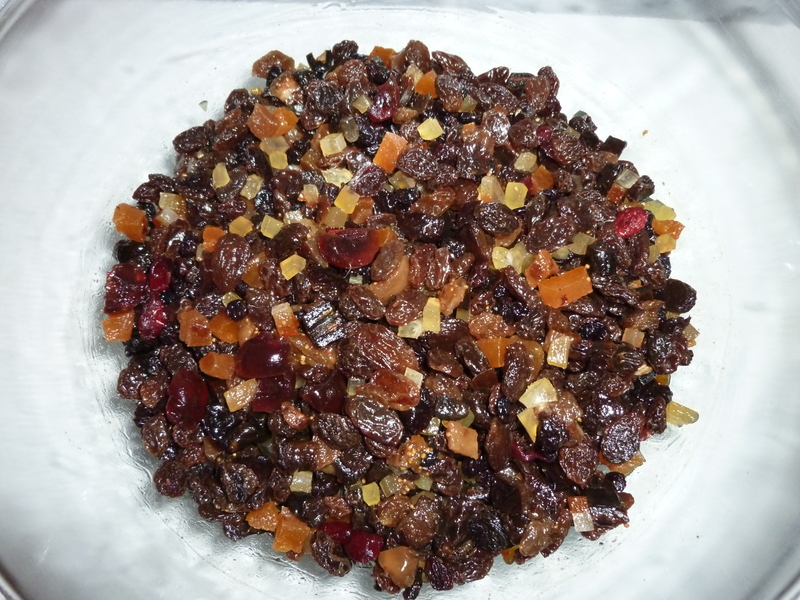 Stir up Sunday is 22 November this year, so this bowl of dried fruit will be perfectly ready to add to the rest of the ingredients and baked. I will then feed it with brandy over the next month before covering it with marzipan and icing it just before Christmas.